Normally we write about anything that glows, but we had to write about this... O!Snap! This new product has changed my life forever, and our office fell in love with it, simply because it made our lives easier, cleaned up my desk, and solved a big problem I had around the office. For Christmas, my Secret Santa got me an O!Snap Headphone Holder. "A What?" you ask? Or at least I did. Haha. 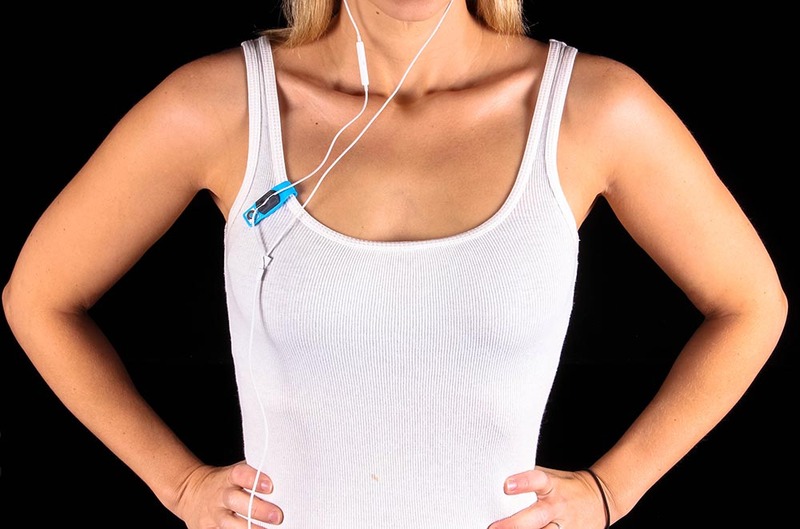 Basically it's a headphone clip that fits around the collar of your shirt, and holds your headphones in place. It's supposed to be for the running market, however I found it incredibly useful when doing work in the warehouse, or when I wanted to be on a long winded phone call and used my iPhone headphones. The clip more importantly doubles as a handy headphone holder which keeps your headphones all neat and tidy when stored in your desk drawer. Previously I would open up my drawer and find my headphones scattered throughout in a bit nest of cables. Now I just release the magnets and let my headphones fall, and there's no tangles... Brilliant! Anyway, just wanted to give the guys at O!Snap a shout-out for a cool product that I'm getting a ton of use out of... Sorry I haven't used it for its main purpose yet (I hate running), but it's cleaning up my act for sure.